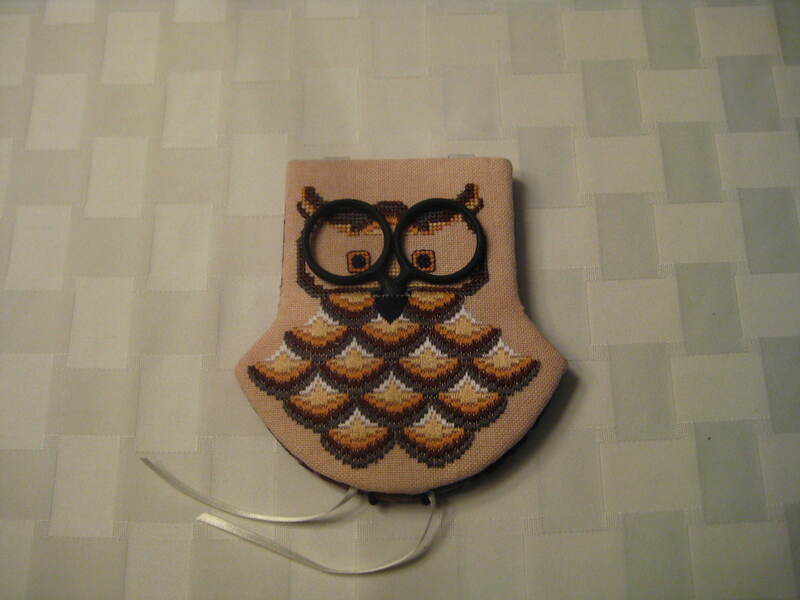 “What a Hoot!” is a scissor-keep and needleminder designed by the Cat’s Whiskers design studio using scissors for the outline around the eyes of the owl. 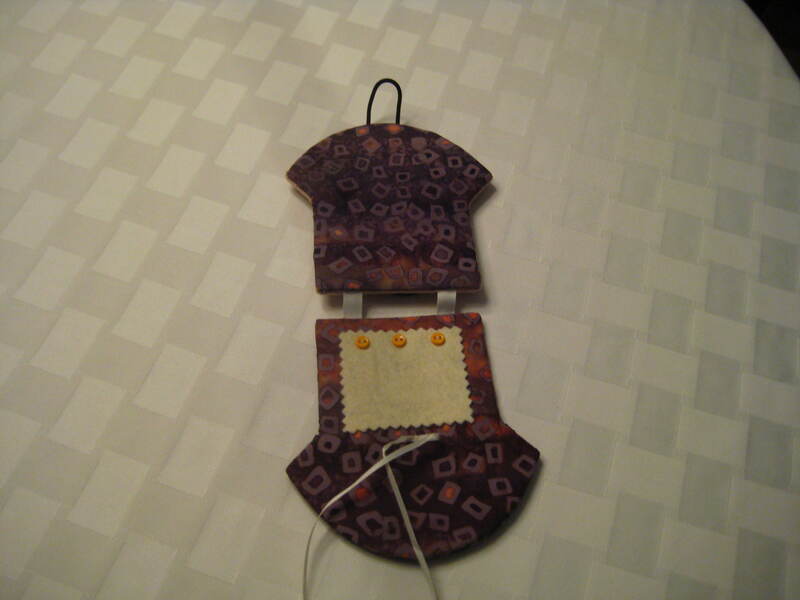 Most of the design is bargello mounted on cardboard with a felt square inside to hold the needles and a thread cutter tied with a ribbon. This was stitched on an even weave fabric with cotton floss instead of on canvas.